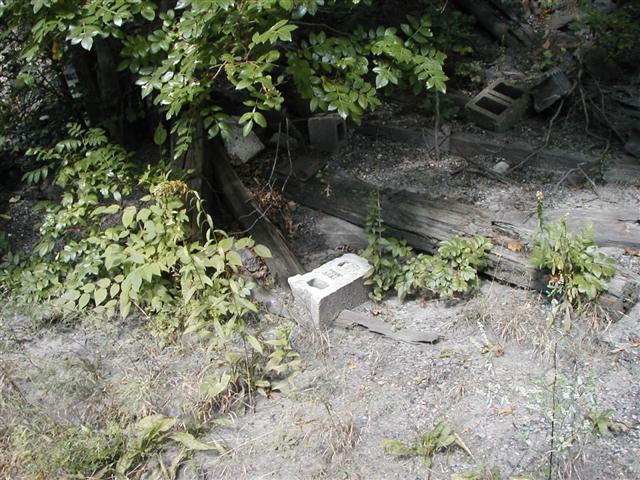 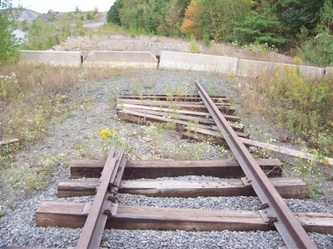 This first section will follow it from the bridge to the present day landfill site where it is severed. 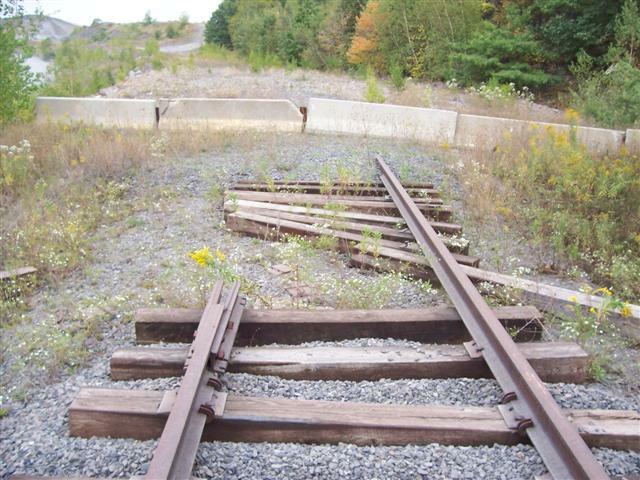 This map shows how the tracks ran though the (now) landfill site and to the Keystone industrial park. 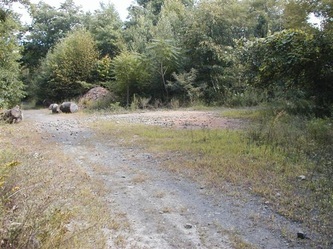 This next section follows it from after the landfill site, across Marshwood road, to Olyphant. 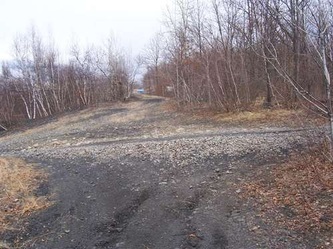 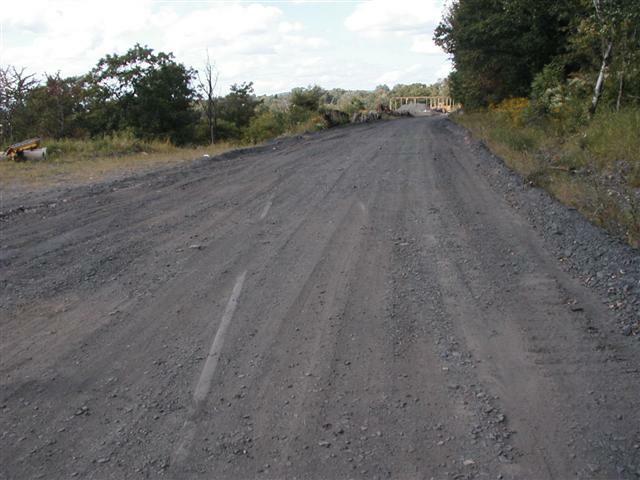 The landfill site used to be a strip mine and there was also another set of tracks that went into the Keystone Industrial park. 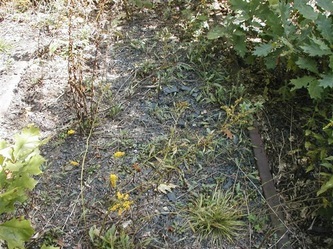 That section was used up until the early 1980's. This branch serviced the Underwood Colliery. 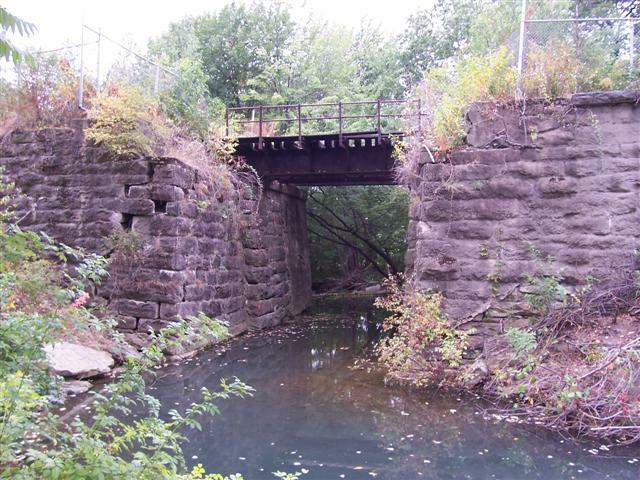 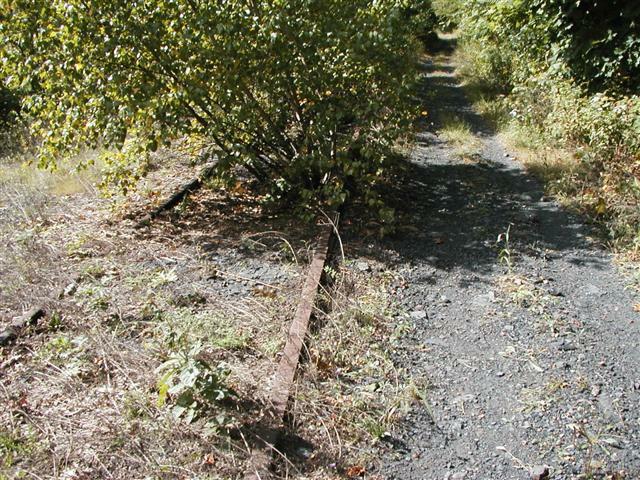 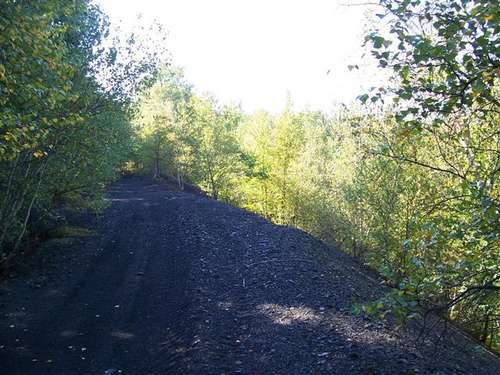 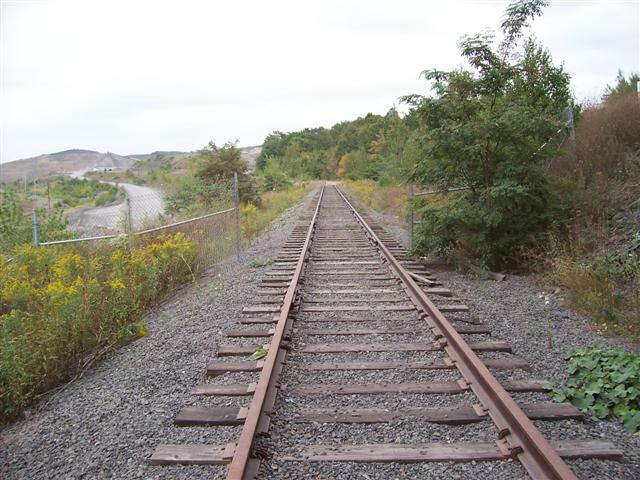 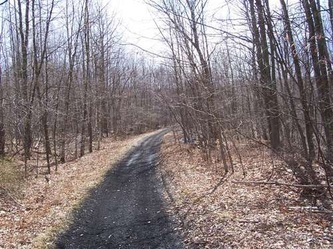 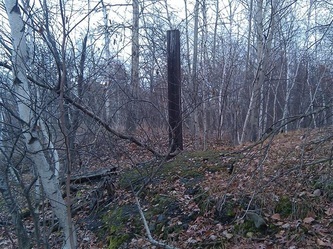 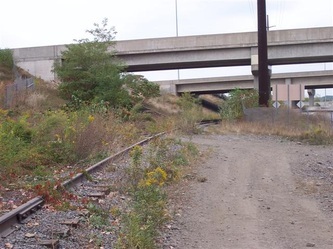 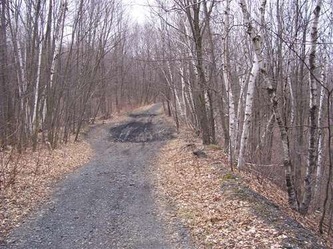 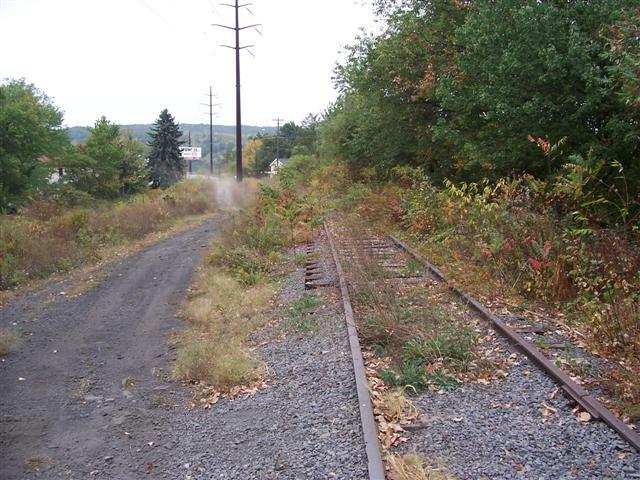 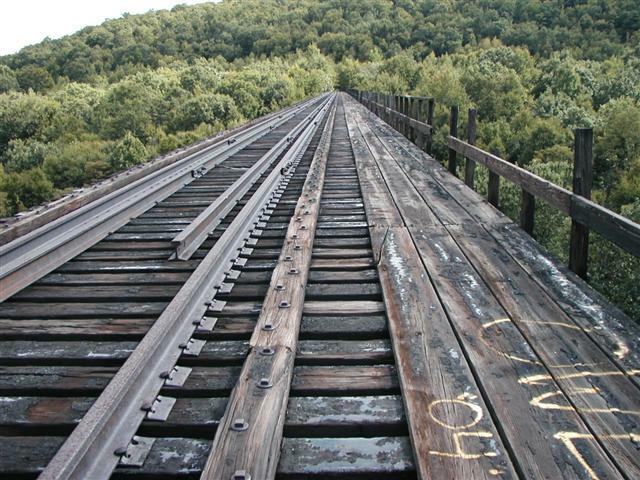 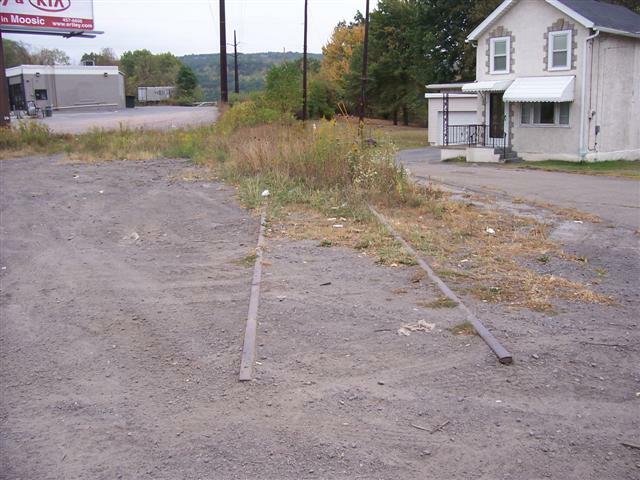 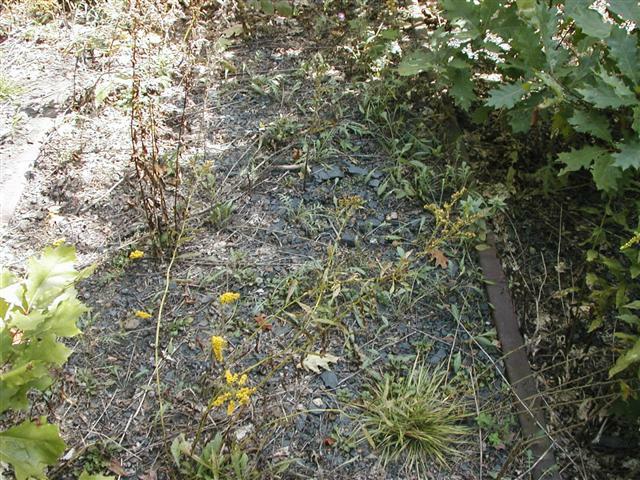 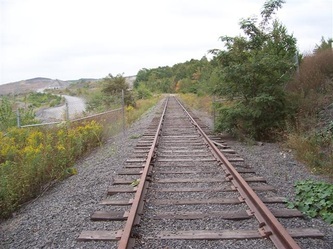 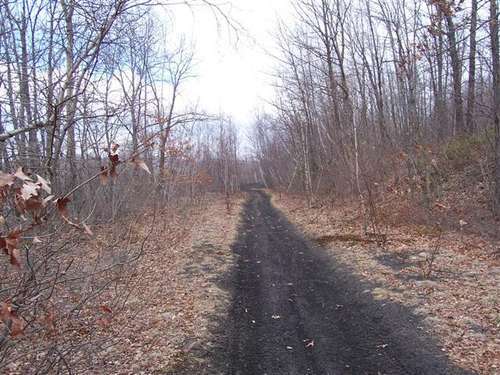 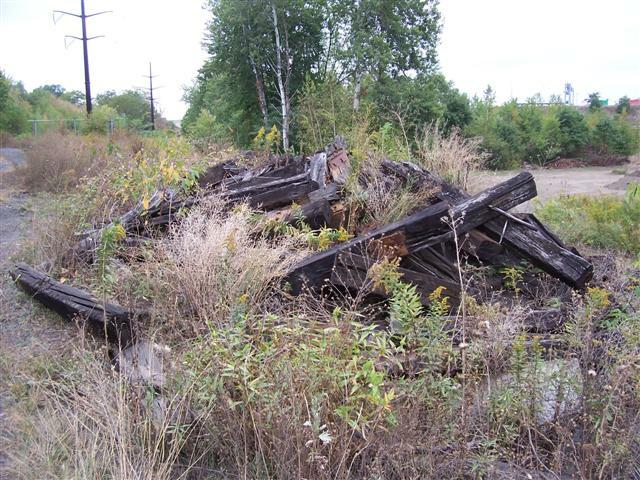 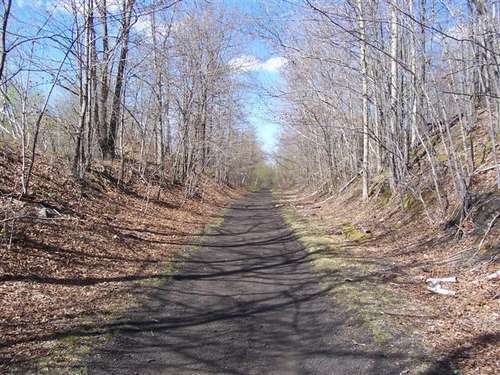 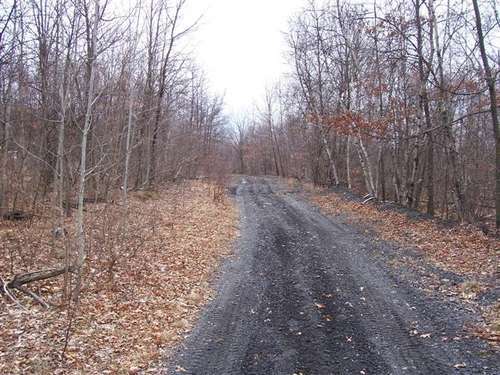 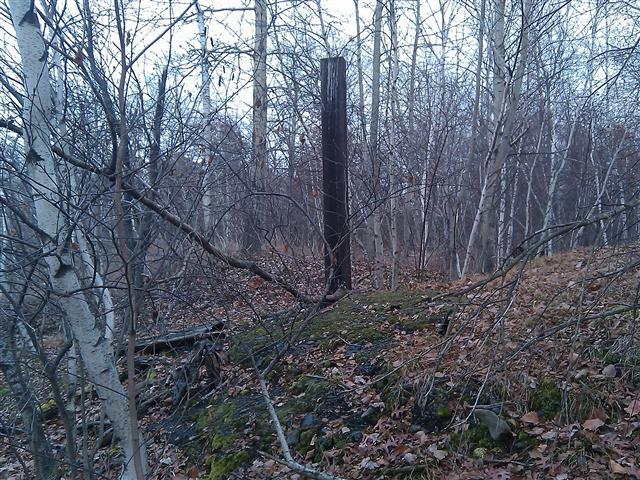 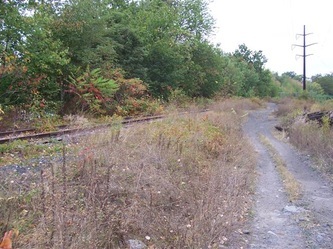 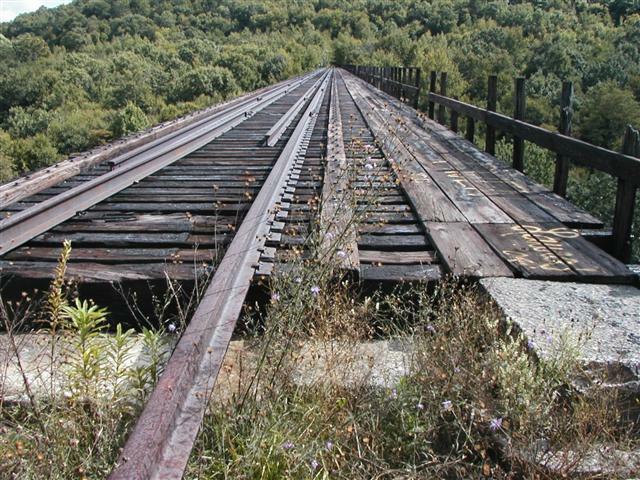 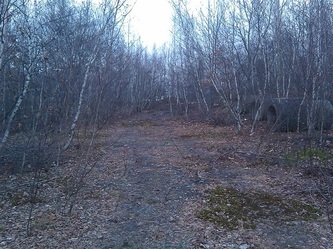 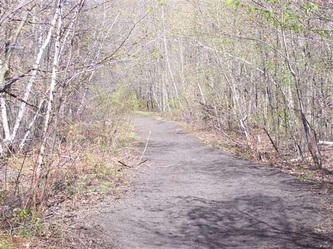 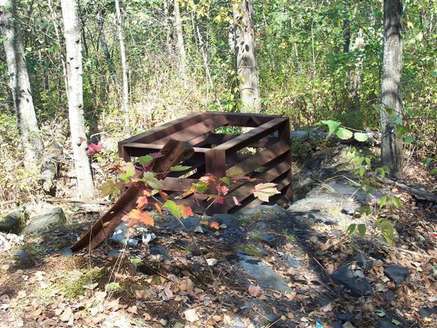 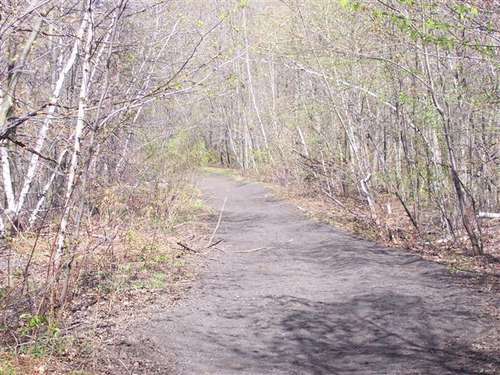 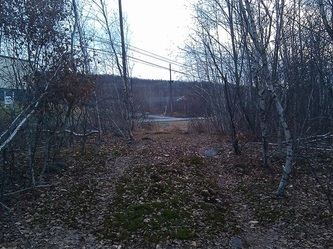 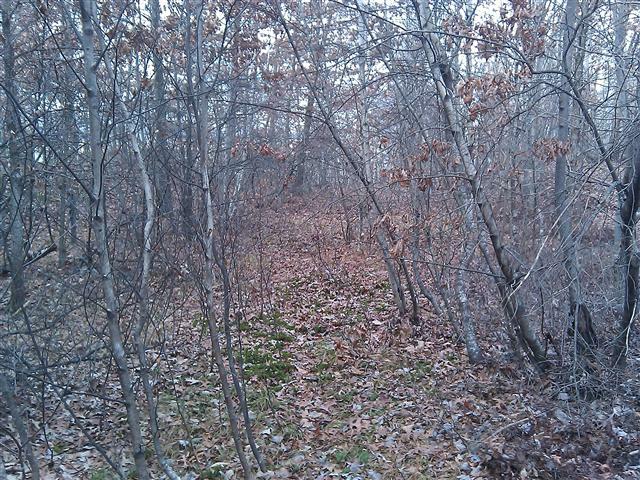 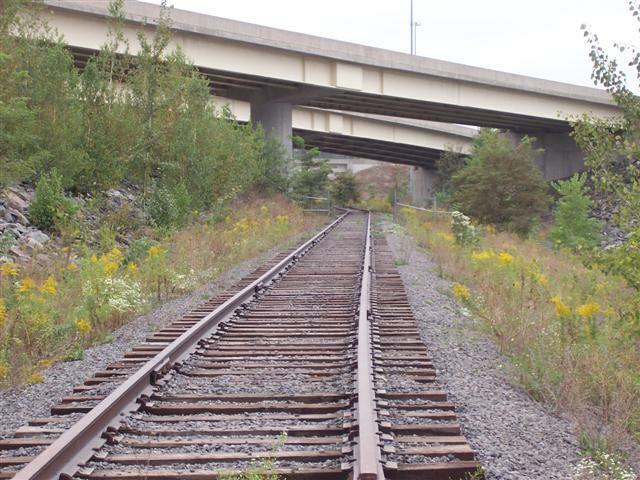 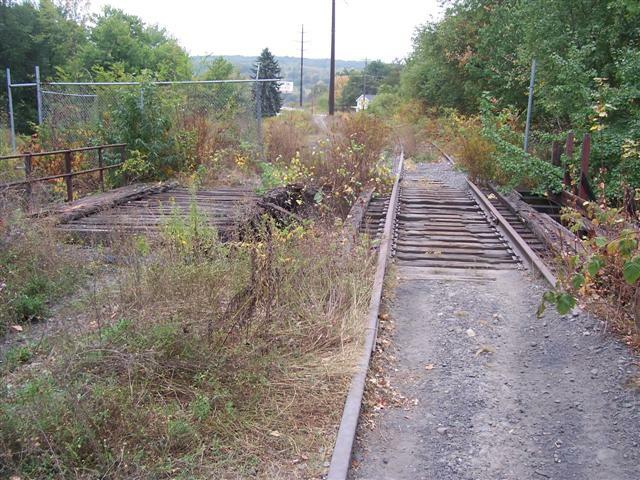 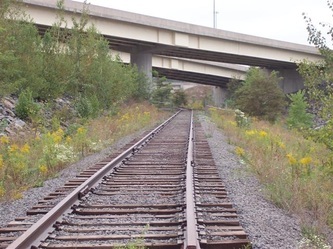 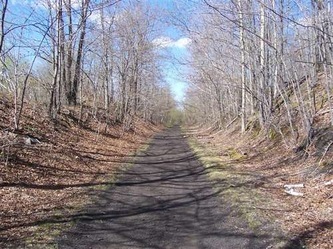 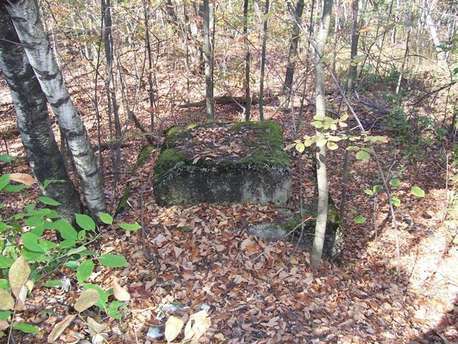 There is also another railbed near this one that once was a mine motor track. I originally thought this was part of the Erie. 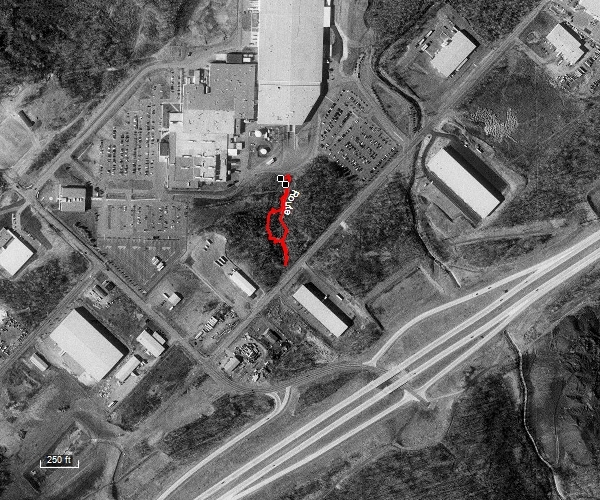 Terraserver image of area explored. 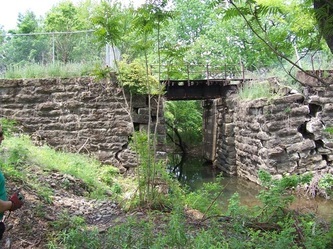 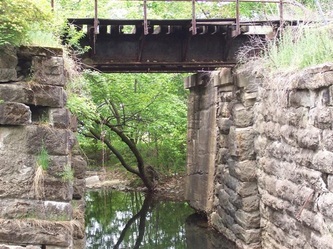 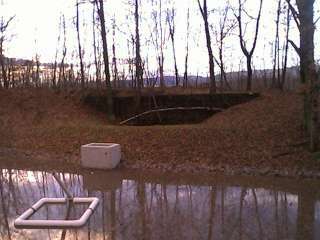 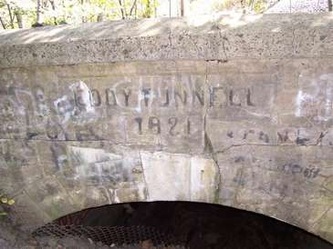 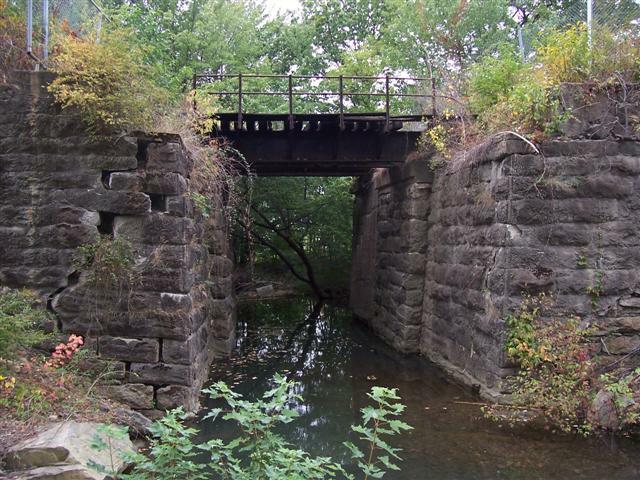 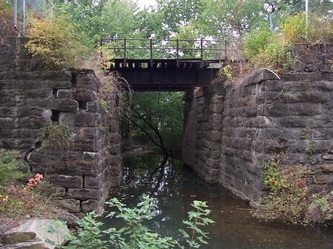 This image is where the bridges were torn out. 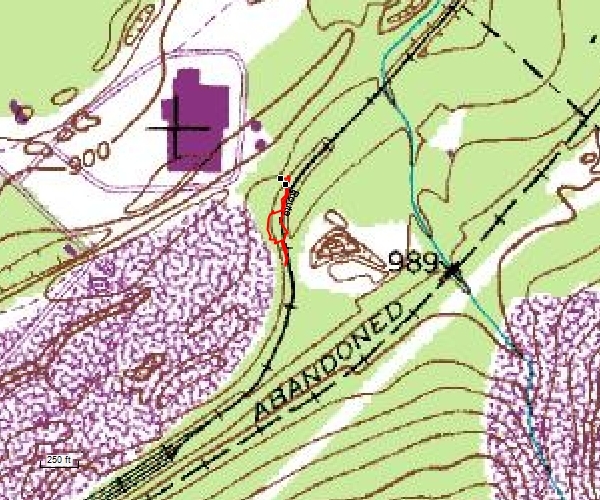 This is a section of a 1946 USGS map showing the railroads. This part shows the cut off area. 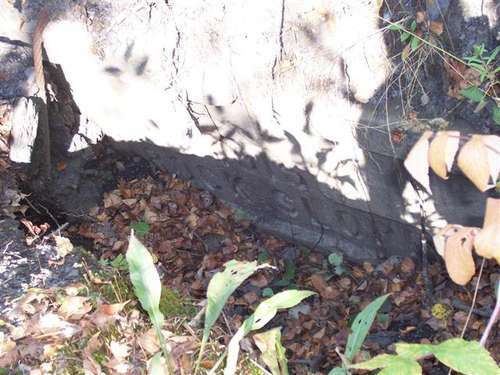 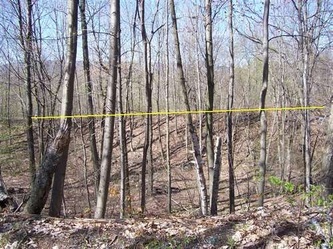 There was a small section discovered between Cinram and Mid Valley Drive. 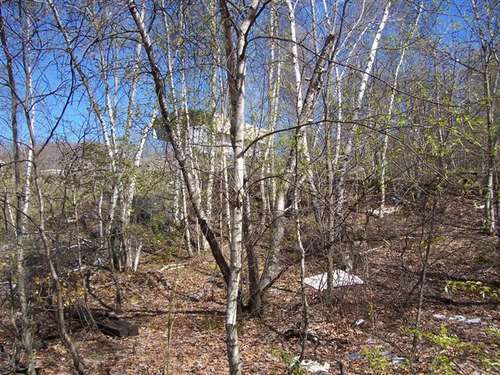 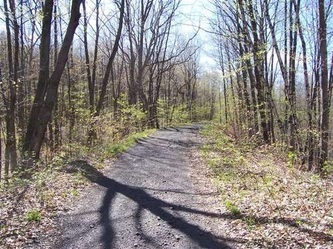 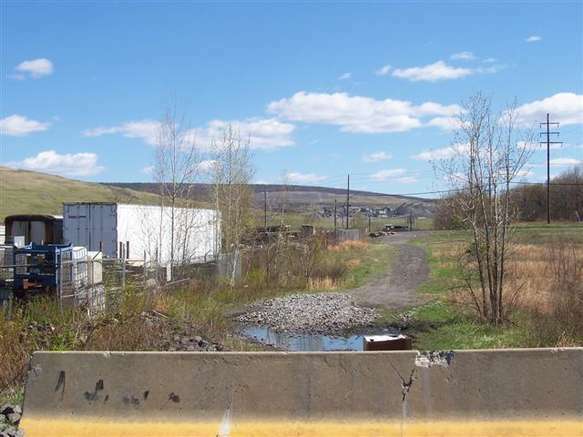 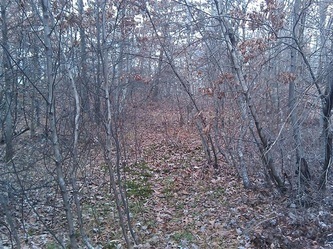 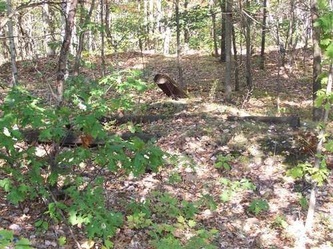 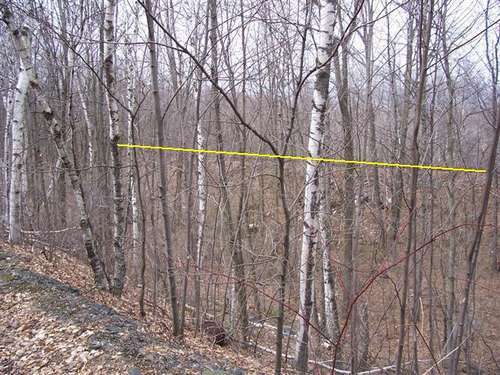 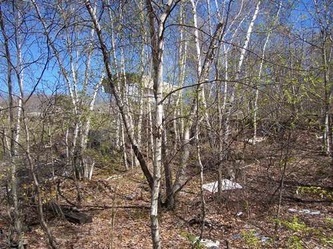 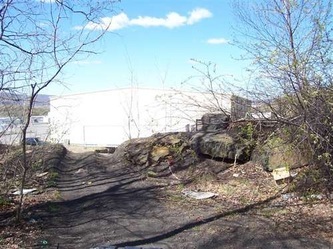 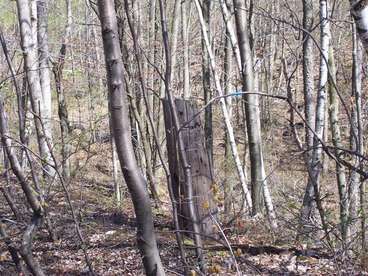 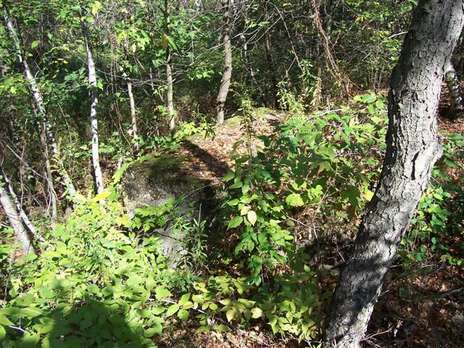 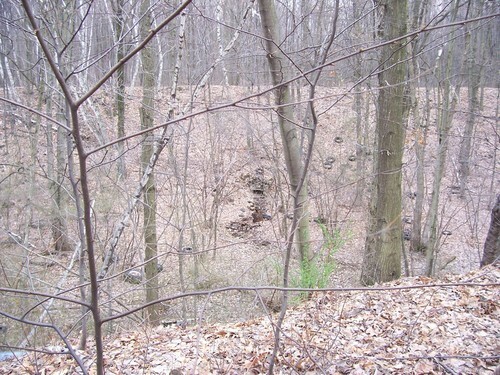 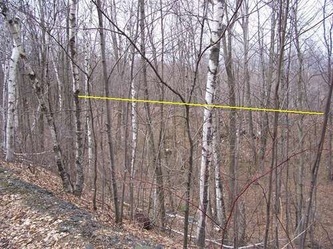 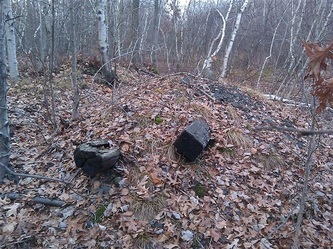 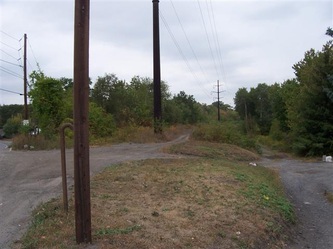 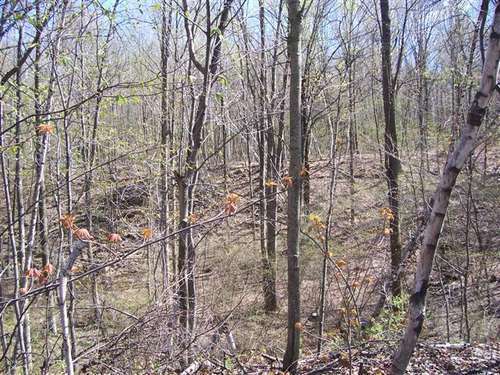 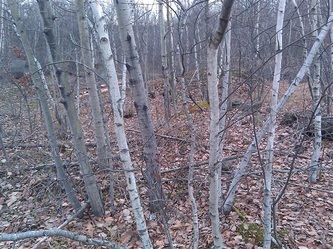 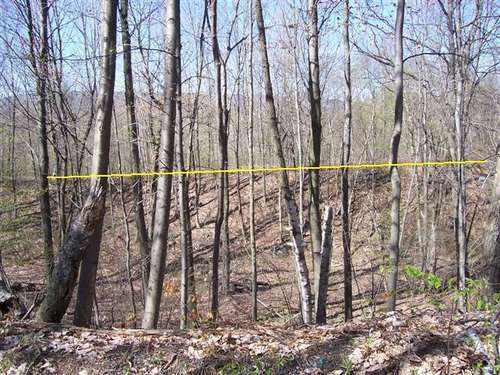 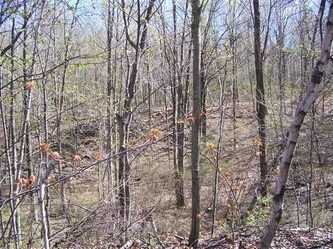 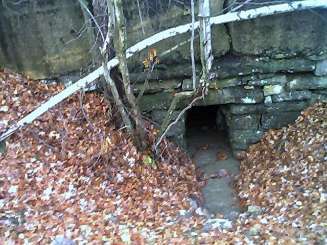 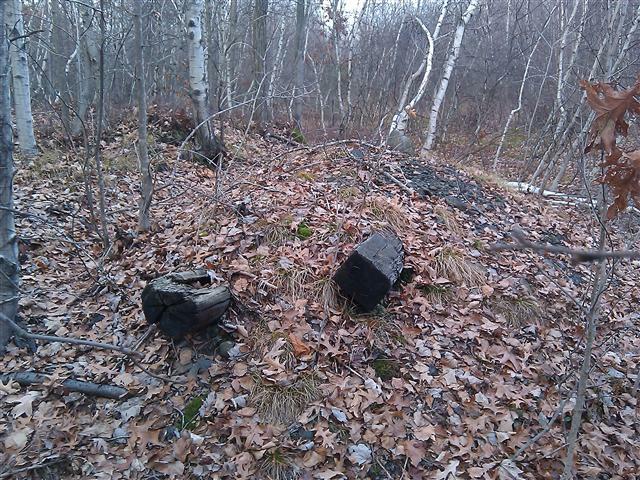 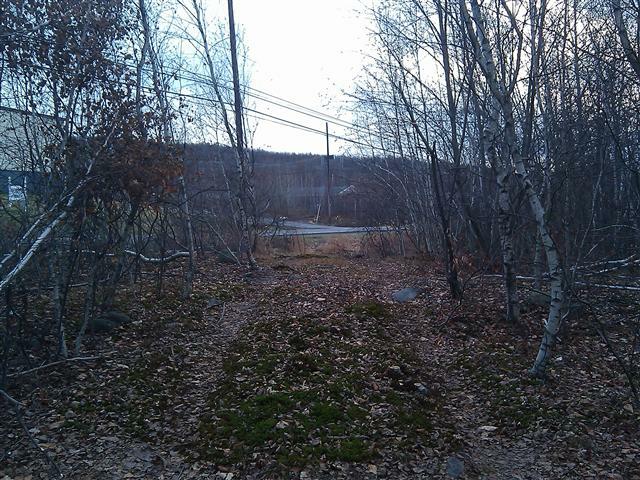 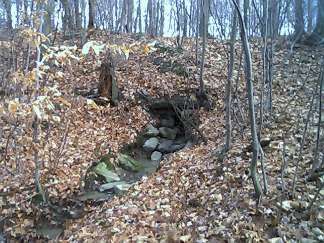 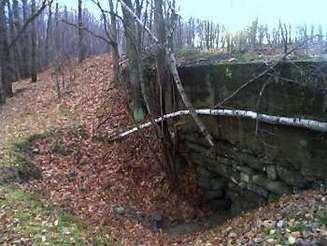 The small section is a small section undeveloped between the plant and Mid Valley Drive. 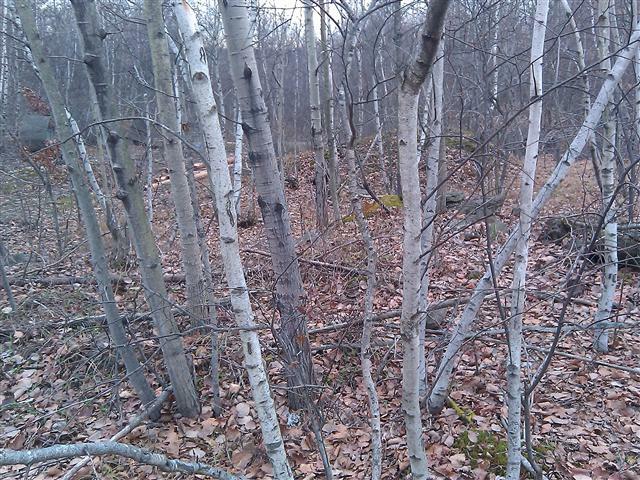 I obtained permission to look at this small section.